The 90 year history of the Zonta Club of Milwaukee reflects the commitment of local women in many diverse businesses and professions to helping less fortunate women locally and worldwide to succeed in their chosen lifestyles, whether in professions or in their homes and villages – through education, mentoring, and financial assistance, in an environment safe from violence. Club Zontians have been and continue to be civic leaders and pioneers in their fields. The Club has provided leadership or collaborated over the years with like-minded organizations to improve the quality of life for women here in the greater Milwaukee community as well as in countries around the world. Club members have been active participants in the Zonta World by attending International Conventions, serving on International Committees, serving as District 6 Governors and on District 6 Boards, and helping to produce District Conferences and Seminars as well as Area 2 Spring Workshops. In Buffalo, NY in Jan. 1919, five women guests at a Kiwanis social conceived of a new service club- one composed of all women who were recognized leaders in business and the professions. The purpose was to be the standardization and dissemination of business principles & practices and to provide service to humanity through cooperative efforts. During the spring & summer of 1919, clubs were organized in Buffalo, Rochester, Binghamton, Elmira & Syracuse, NY. 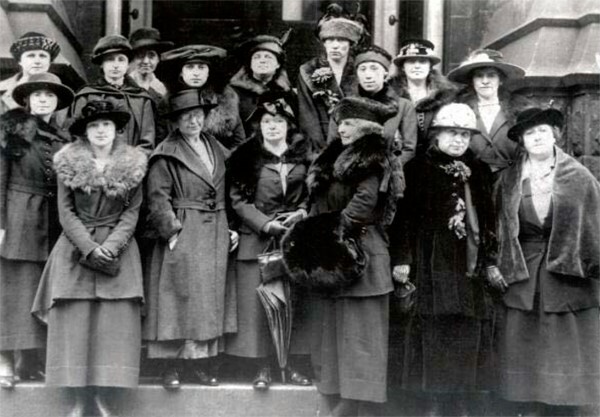 The Confederation of Zonta Clubs was thus founded on November 08, 1919 in Buffalo. Its first theme was education for girls and young women. to found the Confederation of Zonta Clubs. There was a Constitution, Bylaws, official colors of mahogany & gold, and criteria for membership & classification – but no name. Each club submitted suggestions and the name “ZONTA”, from the Teton dialect of Sioux, was chosen. Meaning “honest & trustworthy”, it was adopted at the 1930 Convention in Seattle. By then, there were clubs in Canada and, in 1931, Zonta was introduced to European women. From these early beginnings has developed a truly international service organization with over 30,000 members in more than 1,200 clubs in 67 countries and geographic areas. Its headquarters are in our own District 6, in Oak Brook, IL. Significantly, Zonta was given consultative status with the U.N.’s UNICEF, UNIFEM, UNESCO, ILO, and ECOSOC organizations.